AYA release scheduled for this year is coming. We will call it AYA 4, and number increment came from its completely changed USB stage, which is now no-compromise, asynchronous USB, a 192 kHz (with 11.2896 / 12.288 MHz clocks) or 384 kHz (22.5792 / 24.576 MHz clocks) capable. 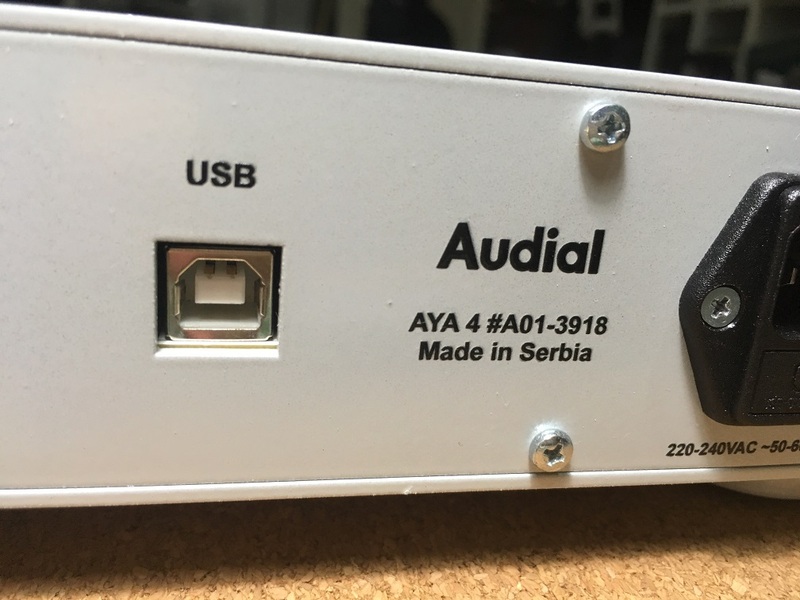 As such, AYA 4 is stereo DAC, based on TDA1541A, but its USB input stage can be made as four channel interface too, and in this case two channels D/A conversion is performed by on-board D/A stage, whereas two more channels are forwarded as digital output to U.FL connectors, for D/A conversion by another board. Yet, as opposed to the USB stage, which is completely changed and now all SMT, AYA 4 will keep the same D/A and output stage of AYA II, so they remain DIY friendly, and DIY manual for these parts will be provided. An S/PDIF stage will be slightly revised, and it will have a bit more SMT parts than AYA II had, but anyone able to put together S/PDIF stage of AYA II will be able to do it with AYA 4 as well. AYA 4 transformer will be also slightly different than AYA II transformer, since AYA 4 requires one additional 8 VAC secondary winding. AYA 4 board size will be somewhat increased too, and at the current state of the design, its dimensions are 180 mm (w) x 160 mm (d). And, just as AYA II 2014 and DS, an AYA 4 will be also produced in limited, one-time series. Lead time will be three weeks for unpopulated PCBs, one month for partially (USB stage only) or completely populated modules, and two months for completed devices. The initial AYA 4 quantity is sold out. Please check out the second run. Hi. If I ordered the module USB input only, do i get the pcb with the rest of the dac as well? I still have my previous AYA-II DIY DAC transformer, can I still use it if I simply add an other small 8vac secondary transformer? Sure, all modules use the same AYA 4 board, and difference between them is in pre-fitted parts they include. So the “module with USB input stage” includes pre-fitted USB stage, and you can normally populate the rest of the board by yourself. And yes, you can use separate transformer for additional secondary voltage. I’m guessing I’ll receive the documentation by private email once available? Manual will be either sent by email, or available for download, along with Windows driver, which is executable, and hence usually refused by many email servers. But you will be notified by email for sure. Good morning Pedja, would you mind trying to talk a bit about the effect of the isolation transformer. Mostly I am interested in the sonic difference. This is still somewhat controversial topic in audio. Some swear to hear no difference, and some claim the isolation transformers steal dynamics, “even if they use highly oversized unit”. The difference is in details (or if they do matter then they are not details? ), and results depend on the actual environment (mains voltage, the rest of the system), and how the transformer is done (actual unit, physical set-up etc.). You can consider an isolation transformer as any other (mains) filter, and expect the same or similar effects, but you should be careful with transformer external dissipation too, especially with EI unit. When working with supply filtering, I always pay attention to the dynamics, background, and tone (pitch, color). As you might know, I still use the isolation transformer in Audial S DACs. It is made in a way it makes no harm, while benefits may differ in different system and places. I’d like to ask about some details of the usb stage. Is the usb stage kind of implementation of XMOS/Amanero modules ? – so there are some custom made BGA chips that couldn’t be mounted in future? 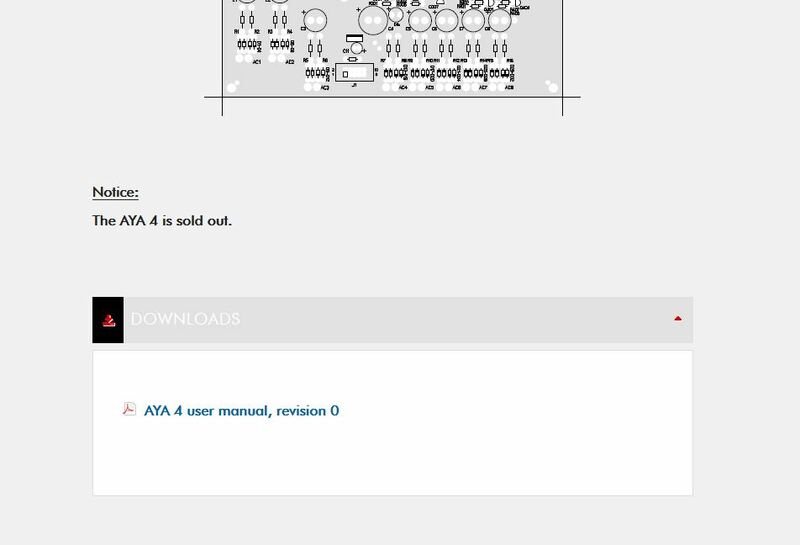 If not, could be even a simple partial schematic screenshot provided later for those who have access to SMT assembly workspace? Is the data to simultaneus data mode conversion possible only in the USB stage or is done later, so connecting external I2S signal, or by the SPDIF can also feed the DAC with the simultaneus data? Is the USB receiver stage designed like a separate module, that could be for instance disconnected and used in a different DAC project? And lastly, what are the demands for the wattage/amps for the lines of the trasformer; is for example 1 Watt for each enough? Can AYA 4 transformer be used with AYA II 2014/DS boards? AYA 4 is one PCB device. There are several reasons why USB stage is not intended for DIY, and hand-soldering difficulty, as serious as it is, is actually only one of them. USB stage decoder is programmed to output simultaneous data protocol (but it can output I2S too, on request), while S/PDIF uses off-the-shelf receiver, with I2S output. U.FL I2S/PCM input carries the signal directly, as is, to TDA1541A. There is no reason you can not use AYA 4 USB stage with other D/A unit. A current required by all lines is up to 60 mA, apart from 8 VAC, which takes up to 120 mA. In my view, a 0.5 A and 0.8 A (respectively) capable secondary windings are fine. Yes, it can. It has one secondary winding more, but it is no problem to leave it floating. This is really neat.. I’m curious on how you switch from USB input (simultaneous data mode) to SPDIF without using a dipswitch near the TDA1541A.. Thanks! AYA 4 has one more relay than AYA II, to switch between two modes. But DIP switch footprint is still there too. It’s cools thst you have a found a way in switching between input sources with no or minimal compromise in performance. Basically, the choice here is between relays and logic circuits. They both have their own advantages and shortcomings, and in this case I found relays more practical. On the other side, to switch between two clocks in the USB stage I am using the multiplexer. Regarding TDA1541A mode selection, the same approach was used in the Model S Mk3. It takes a few centimeters of traces to get that mode selection relay connected (or that’s what I managed to do, among the other stuff there), but there is no compromise in this, not the sonical one I can hear. So, in the AYA 4, the TDA1541(A) mode can be set either by the wire jumper, the PCB DIP switch, or by the relay. Also, AYA 4 will be able to accept either protocol at either U.FL input (AYA II could accept I2S also at either U.FL input, but only the first set of U.FL could accept simultaneous data protocol). And here is how AYA 4 PCB looks alike. Ultimately it is 187 mm (w) x 155 mm (d), so the area roughly 30% bigger than AYA II. At left, you might notice the USB stage very similar to Audial USB interface board, and at right something very similar to AYA II D/A and output sections, with S/PDIF stage now above (or behind). In a nutshell, that is what AYA 4 is, but some features make it still more than the plain sum of these two. can I order the aya 4 with pcm/i2s input and spdif input? Are orders still open for this? Online ordering is not possible anymore, and the manufacturing process is underway. There will be however still some spare samples, and at this time it is best to send your request by contact form. If using two transformers to provide power to analog and digital parts individually, will improve sound quality from AYA4? Speaking at most practical level, I must admit that I’ve never tried this particular option with AYA II, III or 4, however I wouldn’t expect any improvement. I was however playing with different transformers setups before, and I found myself preferring to have all the necessary windings at one transformer, whenever possible. Also, please note that some circuits in this DAC are purely analog (output stage), some are mostly digital (USB and S/PDIF), and some are real mixed signal (D/A part). “Mostly” means that you can consider the clock at USB, and PLL at S/PDIF stage rather analog than digital in nature, even though they operate high frequencies, so it is not always easy to make a clear distinction between the analog and digital side. Yesterday I’ve sent an email with this information, so please check your inbox(es) or spam folder(s), in case you missed it. We are just starting to ship, and the orders without USB stage will be probably all shipped this week, while the orders that include USB stage will probably start shipping next week. 1. Will be possible in the future to replace the master clock (by ourselves) to the 2x higher/lower rate clock (resoldering the clock with some selection in the firmware drivers)? – I’d like to try listening upsampled to 384kHz – but maybe I will end up with listening no-over/upsampled 44.1, or maybe upsampled 192kHz with slower clock will turn out to be optimal..
2. Would be possible in the future to switch the USB module output to I2S or PCM mode output for usage with other Dacs? 4. Do you have any opinion of using higher capacitance DEM decoupling capacitors (preserving their same high quality, even to uFarads, eg 4.7uF)? Or all 100nF are optimal by your experience? 5. What do you think about employing additional so-called level matching of the i2s lines (operating with switching levels very close around the input L/H threshold), to reduce the switching noise, and even filtering by small cap to gnd? 6. What do you think about driving the DEM differentially (both COSC pins, symetrically with Q and nQ) for example with the divided clock passed through some DFF clocked with the master clock? 1. Yes, it would be possible. 2. This would be possible too, however the AYA 4 USB input stage was meant exactly like that, i.e. as an input stage for AYA 4, even though it has additional optional feature to send two more channels out to the other D/A board. However it was not meant to serve as a standalone USB interface. 3. TDA1541A THD+N performance slightly decreases as DEM frequency goes above 250 kHz, but it is not that huge, as you can see from the attached picture, originating from the old Philips papers. On the other hand, I found no problems with low DEM frequency, down to 80 kHz. Having said this, and having to take the BCK (and not master clock) as a basis for DEM clock, I settled on the scheme you see in the AYA 4 (and AYA II DS), which works with sources between 44.1 kHz and 384 kHz, and quite consistent performance in this regard. 4. My first TDA1541A DACs were using 2.2 uF at two most significant bits, however the gains were not that important, especially taking into account inevitable compromises regarding the caps quality. On the other side, Philips papers recommended completely abandoning DEM caps, if synchronous DEM clocking is used. I did not find it however sounding good, either. So, a 100 nF is where I am at, for many years now. 5. I did not find any use of it, either technically or subjectively speaking. 6. Simple circuit driving only one pin appears to perform the same. The jitter is not critical here. are there any boards still available ? Pepe, at this moment there is a couple of spare boards with pre-fitted USB stage, and one more board that will be fully populated. Also, one information regarding the shipping. All the modules will be shipped until Monday. Then we will start shipping completed devices, and hopefully send them all during the next week. Thank you very much for your response Pedja, I have just sent you a message via your contact form asking for pricing on the boards. You will see there my email to answer. I want to share with you my personal thoughts and recommendations about Over/UpSampling and non-OS with the AYA. To start off, at the very beginning I will say, that with good quality upsampling the AYA with TDA1541 sounds just GREAT and for me is MUCH better than non-OS. With good upsampling all strong points of the sound of the TDA are still there, but the sound additionally opens, gets more evenness and clarity. It just then outperforms such DACs like the modern and praised Chord 2Qute or Audio-Gd DAC19 (on BB PCM1704) that I also have in the clarity, multi-layer space, texture. For me everything is in the fact that here on AYA-TDA the instruments, voices, have the cleanness and purity of sound, without added such glare/reverb-like effect I observe on other dacs, and that gives the natural, live sound. As you may know there were always problems with IC oversampling filters that feed the TDA in CD-players, because they added jitter, their quality was also mediocre (with design compromises) and in some (important) aspects it just didnt sound good as clean non-OS. But now we can high quality upsample on the PC and feed the TDA in low jitter simultaneous mode with the clean signal from asynchronous USB. Why upsampling is good? Because the aliasing spectrum will be pushed far away from the audible range (important when there is no post filtering), and the sinX/x 3db compression of the highs (20khz) will be also far away and negligible. In that way we also avoid intermodulation distortions and other bad effects – so the audible range should be restored in the way as recorded. What upsampling I find is quite good enough? As I prefer to listen in the best possible way I currently can, I (have to) play only from the computer via USB (the Toslink and Coax connections on all dacs I had always sounded inferior – maybe with additional buffering/reclocking interfaces would be comparable, but on non DYI dacs thing is complicated). If I had a music stored in file I would play from AIMP, which have built-in high quality SoX upsampler, and can play in Exclusive mode through WASAPI Event. But because I dont have much music in files, I play from lossless TIDAL – only the problem is it doesn’t have built-in any upsampler. BUT, I found that the Windows upsampling is for my ears maybe not so good as in AIMP, but quite good enough – ONLY IF we preserve the integral multiplication of the original frequency. So – if the source music is in 44.1 (most of the content) – the upsampling have to be set to for example 176.4. If the source music is in 48, or 96kHz (Tidal MASTER) – you have to switch in the system the upsampling to 192kHz. Without the integral 4x or 8x multiplication, the result is not so good. The only compromise is that the device output cannot be set in exclusive mode if we want to use the Windows upsampling, and is potentially open for windows mixing. But if the default sound system output will be set to any other device (like some integrated soundcard, digital output or something else), there shouldn’t be any added disturbance. Still I’m looking for a solution for exclusive mode and upsampling (maybe some virtual device then upsampling and routing to the AYA), because the AIMP-SoX upsampling is next step forward, but as I say, for me even in the non-exclusive mode and Windows upsampling is quite good for start with if you listen from TIDAL or Spotify. I’m happy to hear your experiences. Thanks Bartek, great and most useful post. I fully agree that it is way better – both less critical and more practical – to implement an oversampling in PC software, than by hardware. In fact, this probably applies to any sound processing, including sigma/delta D/A conversion. Personally however I still have to hear an oversampling that is beneficial soundwise. But please note that the different findings here may be associated to the different downstream devices. Some simply do not have problems with images. And I have built my system using non-o/s sources most of the time for many years now. Anyway, I am always ready to try the things that I did not try before, and make things better. So thanks for pointing out the AIMP/SoX, I will try this one. You might be right Pedja, that some systems may be more and some less sensitive to higher spectrum images. 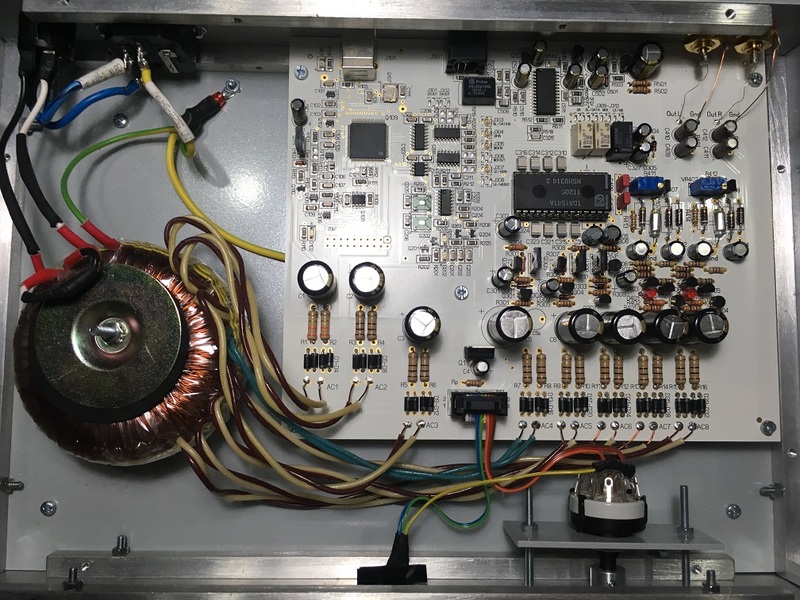 I expect that the less sensitive systems are for example that with output transformers (tube amps) that are high frequency filters in their own nature. When you wrote you will check the Aimp-SoX upsampling I thought I will try again for myself to compare it to the windows upsampling with some limited music I have in files (from cd), as I wrote recently I only listened from Tidal with Windows upsampling and were very satisfied from the results. Well, really, in our pure data connection via USB to the TDA, the choice of the upsampling algorithm changes a lot, and have to be carefully selected by everyone for own tastes. The well regarded Sox upsampling sounds smoother, with lower tonal balance to Windows upsampling (which in fact we dont know what algorithm it is exactly, only heard it probably use Pacific Microsonics algorithms that Microsoft acquired some time ago). But Windows u/s have more highs, that in for example orchestral recordings can give in my system spectacular results – giving that more “air” and space with well focused instruments still with natural timbre. So yes, the preferred results may be veery whole system and tastes dependent, and I would recommend to also give a try to Windows upsampling as it sounds just different. But in any case, personally I would still say that in systems that dont have natural capabilities of the high spectrum suppression, good quality upsampling sounds better :). And definitely doesn’t have many drawbacks of IC oversamplers and asynchronous upsamplers. And this is great, when we can have impact on the sound obtained, the DAC is doing just its work, and we are not forced to rely only on one dubious quality IC filter. Pedja, could you reveal, what kind of system, amp/speakers you have? Also I will be very interested of your observations of the upsampling in your system later. Transformers do work as low pass filters, and may help somewhat here. This relation is also not simple, but If you look at the latest Audial S4 DAC graphs, you will notice the IMD is somewhat lower when measured at transformer coupled output, than at conventional capacitors coupled output. FS was 44.1 kHz. Since these transformers are the last parts before the output, basically this means that they help my measurement card. Generally, I prefer high bandwidth active parts, and low pass filtering done passively. Feeding the active devices with signal slopes above their capabilities may produce problems. Most shortly, my amp is made of potentiometer (low impedance shunt, or sometimes digital pot), and National (now TI) power opamps, which drive the pair of Quad electrostatics. Thats very interesting topic too, Pedja. I only want to add one notice, for those who want to try the upsampling in AIMP. There is also a dithering on/off option on the “transformation options” tab there. That was it what I had unchecked, and that was it what differentiated mostly the result that I got from Windows upsampling. So apparently the Windows upsampling do also the dithering. With the dithering on in AIMP, the results are now I would say from the same family. For me, dithering (when done properly) opens the sound even more, giving more space, what is especially noticable in large orchestra recordings, with the instruments spread wider and deeper. There is a one detail to take care with all the upsampling/dithering/noise shaping: the output bit depth given to the algorithm generally should match the bit depth of the DAC, to be done in the proper way to get the best results – as this cannot be substituted by just cutting the LSBs, but this is for another discussion.. I checked the AIMP, and I can confirm that it is very interesting piece of software, apparently able to do everything my long term standard Foobar2000 player does. And it needs no plug-ins for ASIO and WASAPI, however it takes some caution in everyday use, since the output format resolution has to be set manually. As for the oversampling, AIMP is very interesting in this regard too, and highly worth experimenting. Many problems we experienced with oversampling chips simply don’t exist in this implementation, or are moved to the benign zone. As for its possibly still bad sides, it apparently manipulates the instruments scales and positioning, and it can soften the attack. It is a bit tricky area, so for now I will remain careful with conclusions. Regarding the foobar2000 – there is also possible to download an individual sox-based plugin for it – that can be customized more than in the AIMP. I find that standard Sox presets are too strict and in practice dont give the best sound that can be achieved – which can result for example in some soften of the attack, as Pedja said. I find that enabling some aliasing – gentle filter transition band and lower attenuation of the rejection band gives a possibility to connect benefits of both NON-OS and OS. Also the more gentle the filter, the less ringing we have in time-impulse response. For the tweaking, for Foobar I recommend the Resampler-V DSP plugin which integrates both Sox and SSRC upsamplers (you can switch between) and graphically visualizes the current filter settings. What is most important every tweak works instantaneously to the played source (no need to restart etc). [the 100% of the band is the Nyquist frequency, ie for resampling source of 44.1kHz is precisely 22.05kHz). The other kind of filter can be selected too, like the mimimal/intermediate phase – and sometimes they could sound better, more precise, but I’m not really sure if that would work equally good for all music material – although they dont have the preringing in the time-impulse response like the linear filter, they frequency response is not linear and it may give some problems in other place.. Anyway, for me that way the upsampling results can be way better, customized to the system, than standard Sox presets which natively AIMP only supports (although I like the AIMP player much more than Foobar). And for those who like experimenting and tweaking I would highly recommend. I would like to ask if the USB input to AYA4 need the 5V supply from the USB? If not I would like to try to disconnect the 5V supply from USB and see if it can reduce the influence of DATA transfer inside the USB cable. AYA 4 does not use USB +5 V supply to feed any circuit. Internally, there is only one, logic connection to it, usually however not needed. So if you disconnect USB + 5 V supply everything should continue to operate properly, but you probably won’t gain much by doing this, either. I just saw one (220V input) on sale in diyaudio forum. Can the transformer primary be configured to 230V input? So long as it is the transformer supplied by Audial, it will work properly with any voltage between 220 and 240 VAC. I just bought a AYA4 fully built from a forum member.Just wondering where can I download the latest audial USB driver for window 7? I also like to know if there is any additional instruction manual or schematic diagram that comes along with the fully built unit, in case I like to mod or connect the U.fl to my rpi hat. Photo of the serial number for your reference. Just log in, please, and refresh this page. You will see the driver and assembly manual in the downloads area. I tried log in and refresh the page, but all i see is the user manual pdf. We made some fixes. Now both your account permissions are fine, and some broken links have been corrected too. Also, there is one important information regarding this site. We’ve set up a real forum, and instead of this blog interface, we can move all the discussions there. I believe that the forum interface will be more useful, and there you can also start the topics. As all is a trade off it could be interresting to extend the discussion & experiments with the layout around it. I mean the say benefits of the upsampling VS constraints to do it : noisy PC ground, noiser phase noise crystals when going with higher speeds. mode instead of I2S ? Some also say reducing the speed of the USB bus to its lower speed (by resistors inputt choice before the cmos chip? or CMOS usb chip programing ?) has some benefit for sound quality playback… but that also means sampling frequency limit (96 K Hz max for instance for the 12 Mb/s full speed mode and maybe even less for the low speed mode at 1.5 Mb/s : 44.1 K Hz sampling rate limited? )… which can permitt to lower the Xtals speed choice as well according to the result of the first experiment. Upsampling from a powerfull PC has some benefice as said above… but in the same time have a noisy usb outputt (even if battery powered laptop), so maybe breaking the ground loop and its noise with the PC and the usb inputt of the dac board could improve things (or not). For instance to experiment with such chip as the ADUM4160 from TI or octocoupler. While also staying with isolator chips after CMOS processing and before the Xtals as AYA4 layout. An other option is to use renderer like RasperryPi with noise isolator hat which are more quiet than huge PC. While USB of such renderer is noisy too… just maybe less ! There are some Linux based distros like PicorePlayer or MoOde for instance that can enable or disable SoX upsampling features with the GUI. In the same time I’m not sure one can enter in the filter choice options as decribed in the post above. I would (only) guess that the oversampling done at PC does increase its noise, but I don’t expect this problem to be any close to the problems brought by the oversampling processor chip sitting just beside the D/A chip. Still, people dealing with PC subjective sound performance, way more than I do, consider PC noise very tightly (inversely) related to its sound quality. Yes, the AYA 4 USB stage output is simultaneous data protocol.